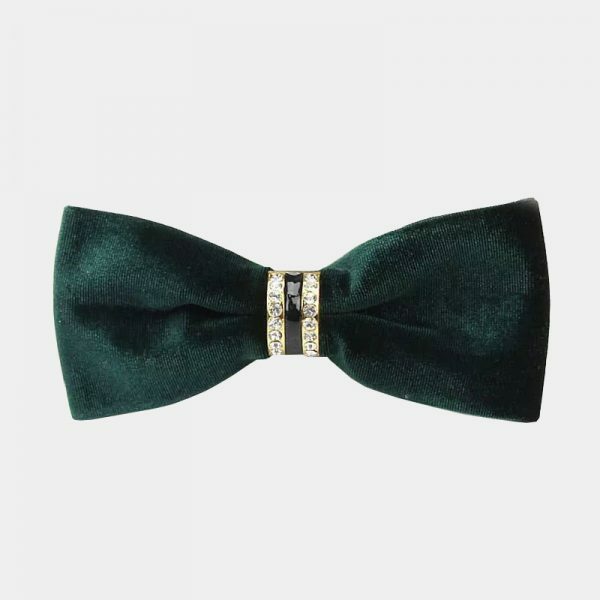 This hunter green paisley bow tie set will take your look from basic man to a gentleman and have you looking like a million bucks. 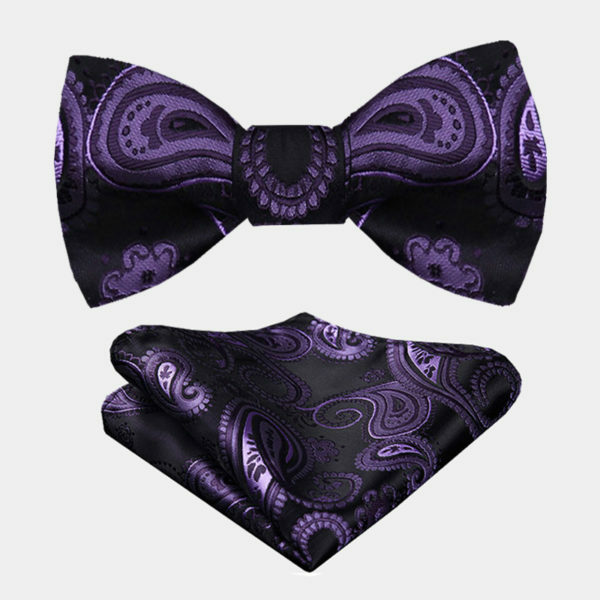 You can instantly add color and interest to your accessory collection with one of these beautiful sets. 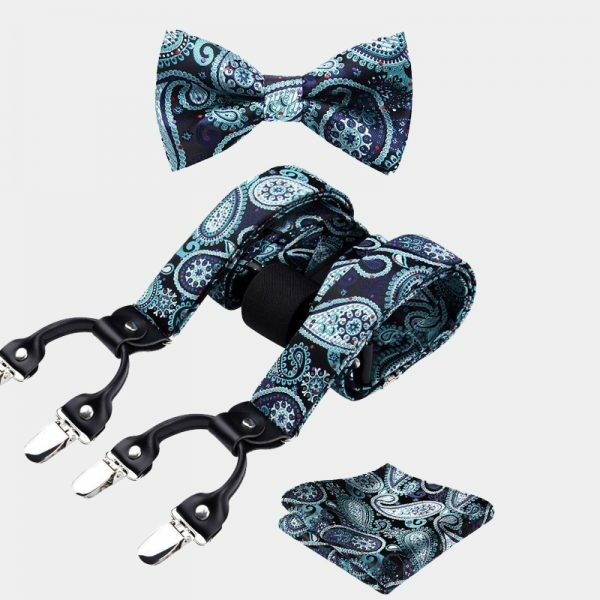 Change up your neckwear game and try something new with this masculine hunter green paisley bow tie set. 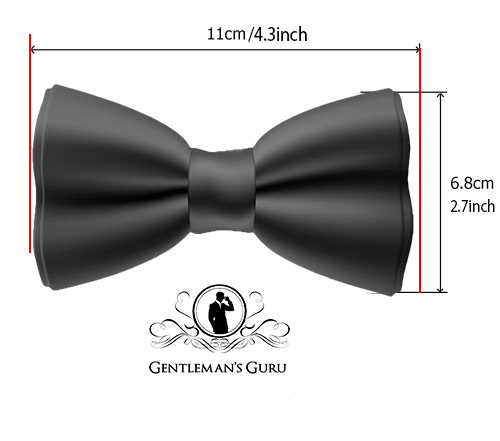 They are the perfect addition to your everyday business suit or formal wear as well as elevating your casual attire. 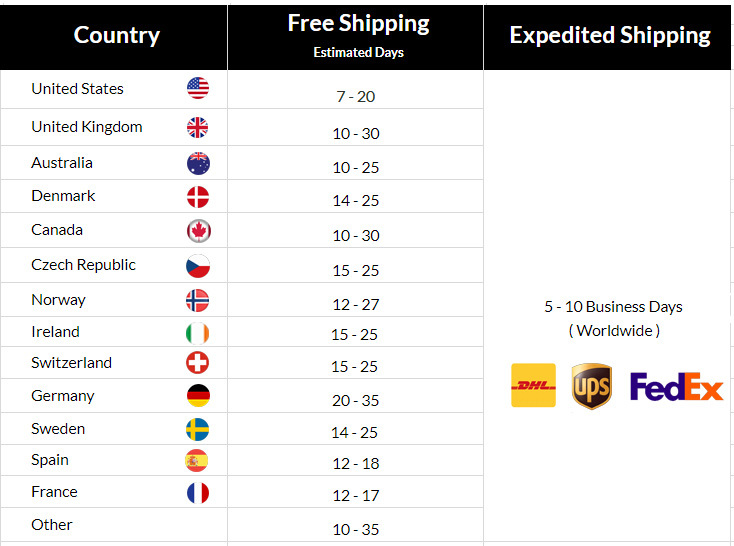 It is easy and affordable to take your neckwear to the next level without emptying your wallet with one of these sets. 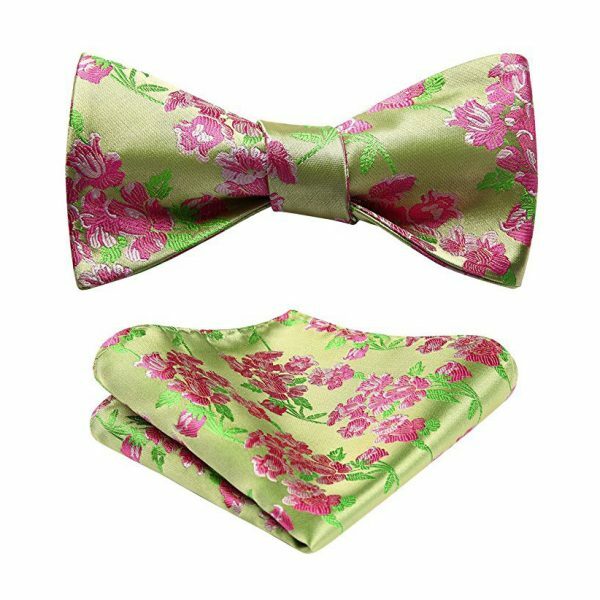 Each green paisley bow tie and pocket square is handcrafted with 100% high-quality woven silk material that resists fading. 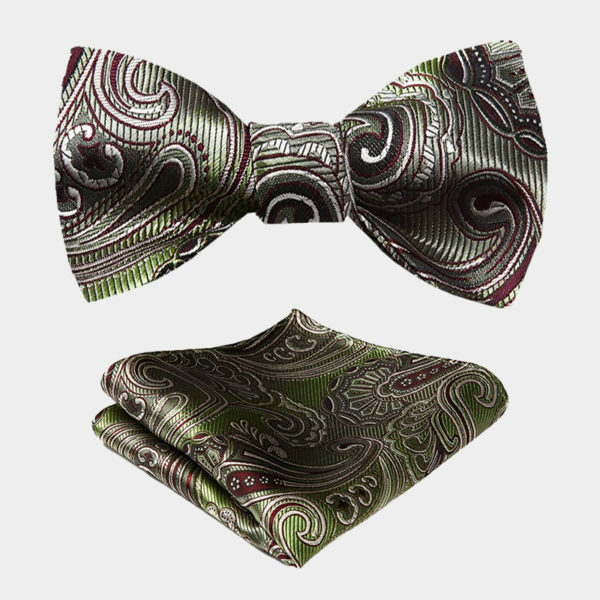 The intricate hunter green paisley pattern has colors that range from bright and bold to subtle and muted. 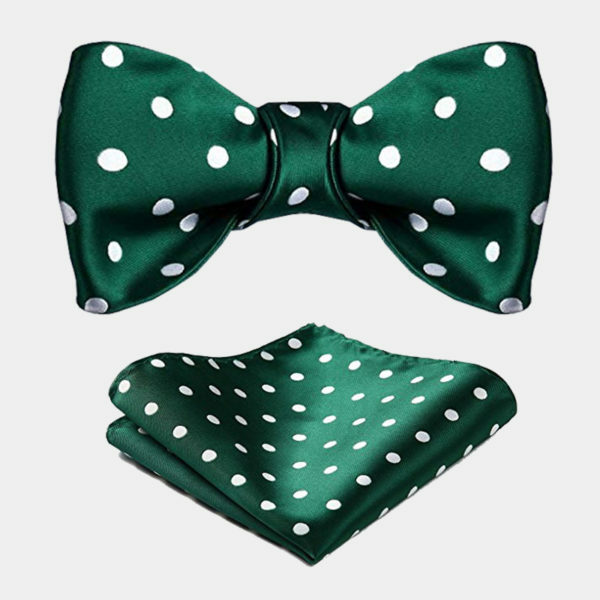 These green tie sets include one self-tie bow tie and one matching pocket square.